Home » Our Doctors » Kenneth Hubbard, Jr., O.D. Dr. Hubbard graduates from Marshall High School in 1968 and was a science major at the University of Central Arkansas from 1968 to 1971. He began attending Southern College of Optometry in Memphis, TN in 1971 and graduated in 1975 with a Doctor of Optometry degree. He participated in postgraduate college work in Ocular Therapeutic Education in 1986 presented by Pennsylvania College of Optometry at Tahlequah, OK Indian Health Service Hospital. 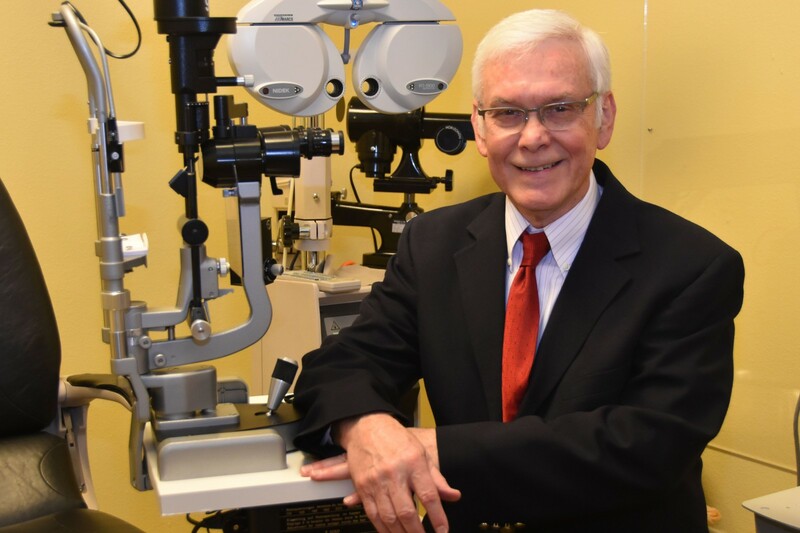 Dr. Hubbard has practiced solo primary eye care in Harrison, AR since 1975. He has served the community by past board membership of North Arkansas Regional Medical Center, and past membership of Boone County Special Services, Board member and past chairman Health Advisory Committee for Ozark Opportunities Head Start, and Commission member and past chairman Boone County Airport Commission. He is currently serving the State of Arkansas as Secretary of the Arkansas State Board of Optometry. Dr. Hubbard has also been a Past President of the Arkansas Optometric Association and Optometrist of the Year.